Rick Perry’s 2012 run for the White House was the campaign equivalent of Disaster Movie, the Ebola like parody written and directed by Jason Friedberg and Aaron Seltzer, with a .00001% rating on Rotten Tomatoes. Releasing The Starving Games in 2013, the film director and screenwriter team failed to learn from their previous mistakes, and Rick Perry seems to be in the very same boat — a sinking boat. Announcing Thursday that he will launch a second presidential run, the dyscalculic Republican hopes to cancel out those nightmarish memories of 2012. Considering Rick Perry tried and tried, but spectacularly failed, to name the three federal agencies he so desperately wanted to remove, there is every chance the human goldfish has no recollection of 2012. 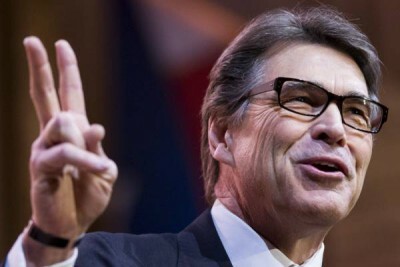 As the longest-serving governor in Texan history, Perry spent three decades working in the Hick State before leaving the governor’s ranch in January.